Departments are used to record the different areas in church where volunteers serve. Each department is broken up into sub-departments and positions. For example, you might have a ‘Music Team’ department in your church. 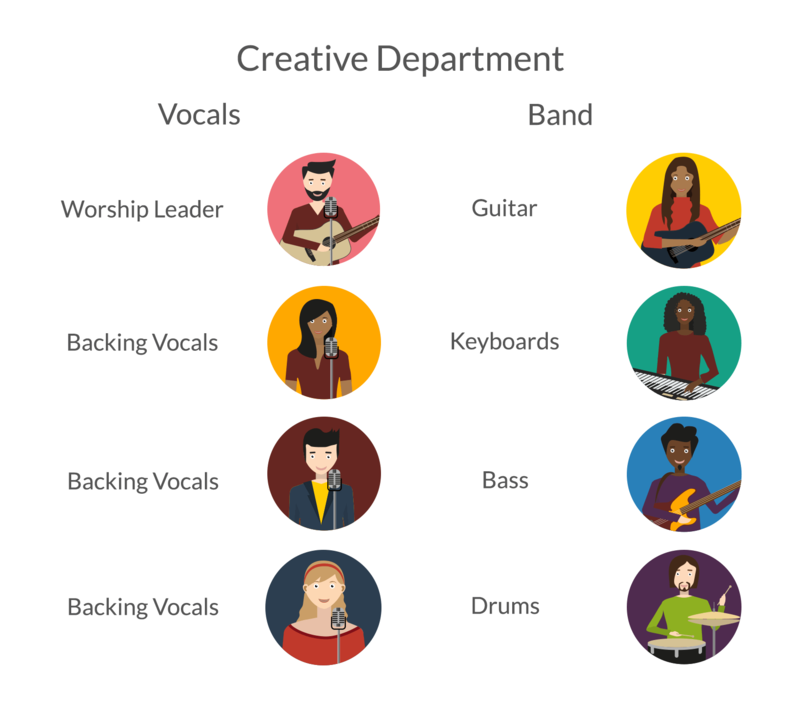 Within that department, you might have several sub-departments such as ‘Vocals’ and ‘Production’, and then positions under each of those sub-departments like ‘Worship Leader’ and ‘Backing Vocals’. You can have as many departments and positions as you need. Departments are used to roster people on to volunteering positions for services. Groups are designed to track and report on groups of people (that may or may not meet regularly). Here is an example of how a department is laid out.